The ratings have continued to sink but Dancing with the Stars will be back for a 21st season on ABC. In the current season, Tom Bergeron and Erin Andrews have returned as hosts. Len Goodman, Carrie Ann Inaba, Bruno Tonioli, and Julianne Hough are back as judges. 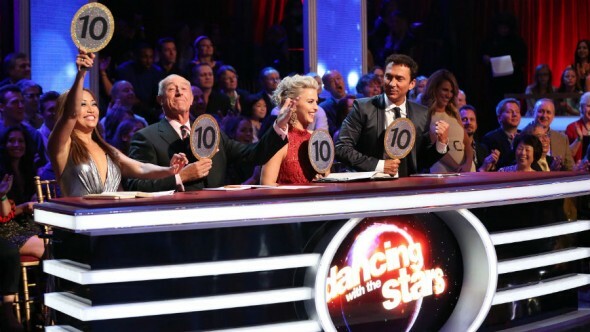 Compared to last spring’s edition of DWTS, the series’ averages are down by 15% in the 18-49 demographic (1.97 rating) and down by 10% in total viewers (13.2 million). Still, it’s one of the network’s highest-rated reality shows in the demo and their highest-rated show in total viewers. In short, it’s not going anywhere anytime soon. What do you think? Are you a fan of this dancing competition? Do you think ABC should continue to air two cycles a season? Would you make any changes to the show? Here is my wish list for contestants: Elizabeth Hasselbeck, Survivor, Bill Ranic, Apprentice, Katherine McPhee, American Idol, Matthew McConaughey, Channing Tatum, Dylan Neal, Cedar Cove, and Kerry Russel, Scrubs. I think they would be great.